Custom hydraulic manifolds are designed to fit the industry common cavity (ICC).This allows for many different hydraulic cartridge valves from one function to another and also aids the design of cartridge custom hydraulic manifolds. 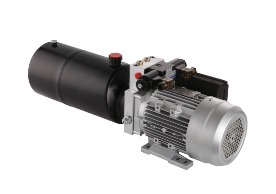 All of Target Hydraulics sales engineers, Product managers are capable of assisting with the design of Custom Hydraulic Manifold hydraulic system. 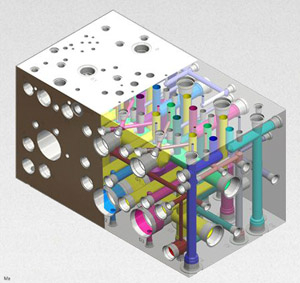 Manifold hydraulic system design and hydraulic manifold manufacturering project makes our products manager learn and know how to meets our client’s manifold block hydraulic design request. 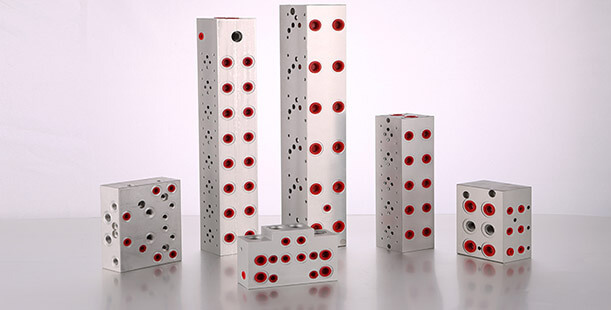 The hydraulic cartridge valve manifold blocks are very popular in various mobile and industrial hydraulic applications, such as construction machine industry, hydraulic systems, kinds of different hydraulic power units, hydraulic lifts and so much more other different applications to control hydraulic fluid directional and Hydraulic power. 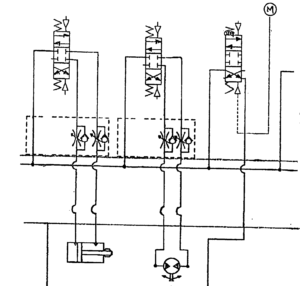 There are a lot of Hydraulic cartridge valves and CETOP 03/06 hydraulic valves on the custom manifolds hydraulic system , different function of hydraulic valves controls their own hydraulic element, such as solenoid hydraulic cartridge valve for hydraulic directional, release the load in hydraulic system, Hydraulic cartridge pressure relief valve controls hydraulic system pressure and keep hydraulic system in a safety pressure level and others. Target Hydraulics as a Chinese hydraulic manifolds manufacturer, hydraulic valve manifold connecting size NPTF , SAE,BSPP,M are all available. 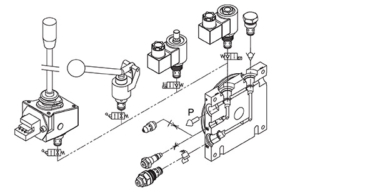 Cartridge hydraulic valves Cavities ,both 8# and 10# are all available. 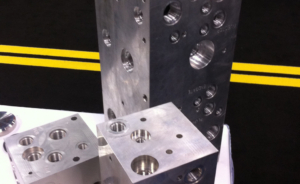 Our Standard hydraulic manifold blocks oil port thread is BSPP. 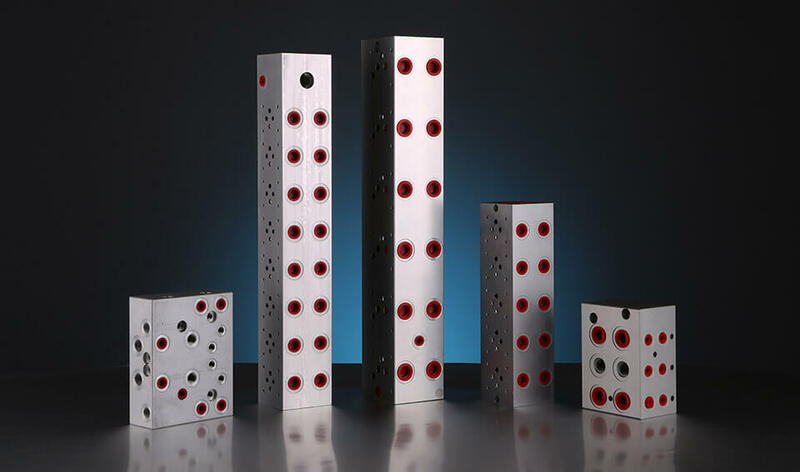 Material of hydraulic manifold normally is aluminum 6061-T6, some of hydraulic manifold blocks material are steel. 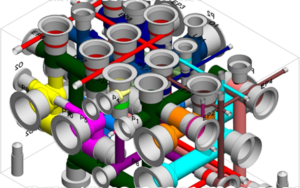 We Can design Manifold follow your Hydraulic Manifold schematics.